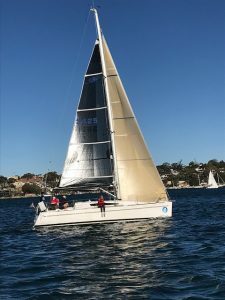 BSC = Balmain Sailing Club. DNC = Did Not compete. GFS = Greenwich Flying Squadron. HDCP = Place on Handicap. ns = No spinnaker used in a spinnaker race. ORC = Offshore Racing Congress Club Certificate. PHS = Performance Handicap System. SCR = Place on Scratch. STRS = Number of Starters. WHWS = West Harbour Winter Series.